All restaurants and kitchens need high-quality food storage. This 1/2 size cold food pan is also anti-jamming and has reverse form flattened edges for neat storage and application and also Features: a framing shoulder. Rubbermaid guarantees you will enjoy the high quality food storage that this pan offers. Add this 6" deep 1/2 size food pan to your kitchen ware line today! This 1/2 size cold food pan is ideal for storing vegetable ingredients, dairy products, toppings and much more! Use it at your ice-cream station or your pizza prep table. 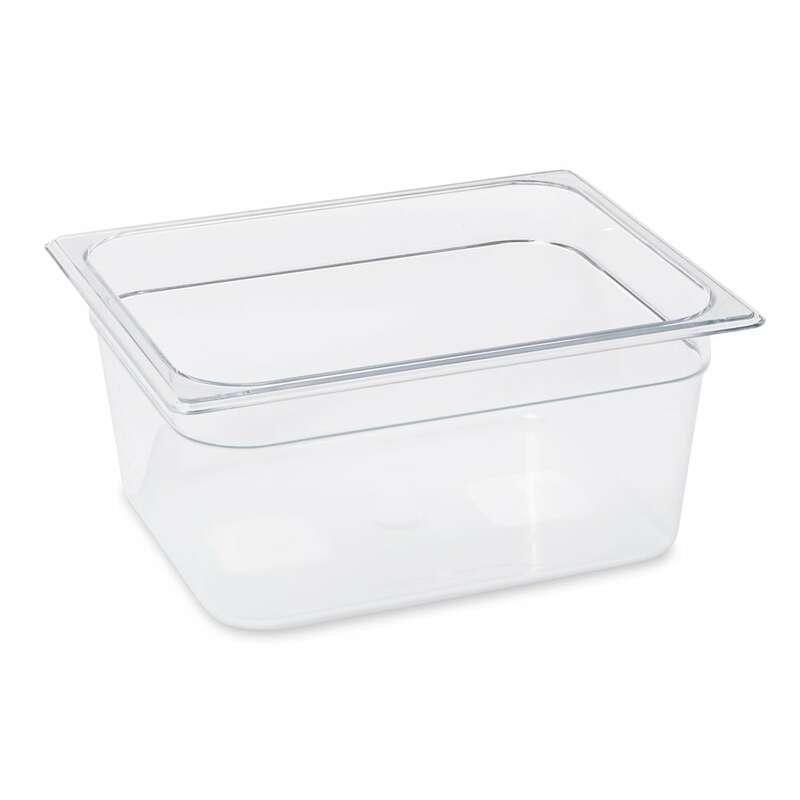 This Rubbermaid cold food pan is a 1/2 food pan that is constructed of clear plastic that will not only keep your foods fresh and secure but will allow you to view your foods without having to disturb the pan. The corners of this 1/2 size cold food pan are top flange with concave indention for easy stacking, storage, and positioning.